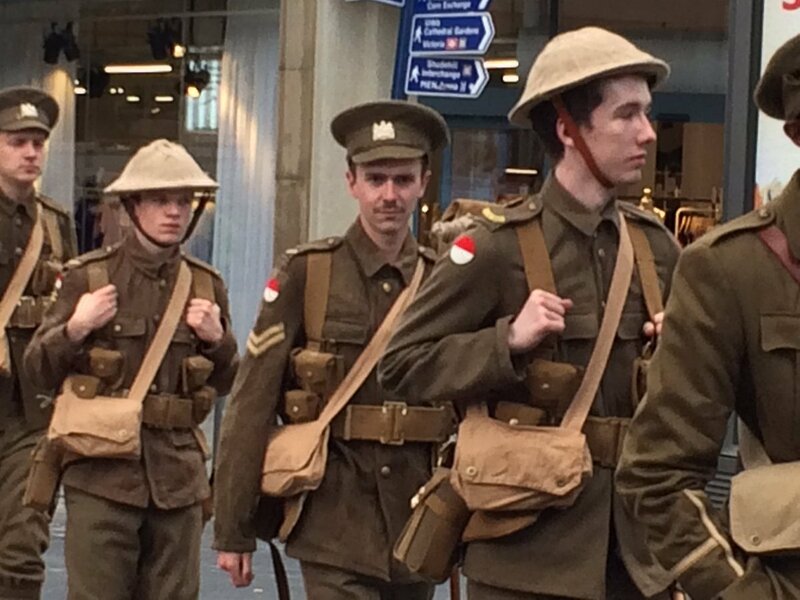 The extraordinary sight of 'ghost soldiers' wandering through streets and train stations has provoked a huge reaction. Lounging against city centre walls, strolling through Victoria train station or lying on the pavement. 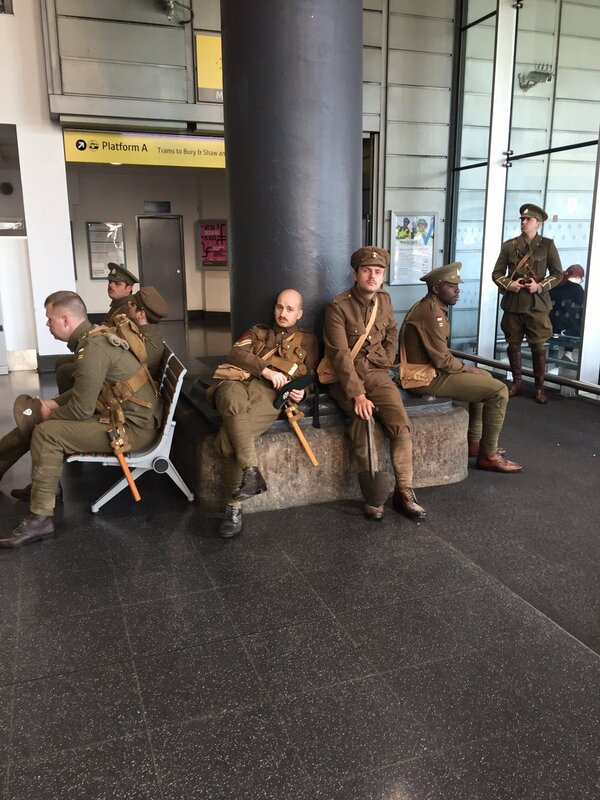 Commuters saw dozens of ‘soldiers’ performing a poignant ‘living memorial’ for the Battle of the Somme as they travelled through this morning. 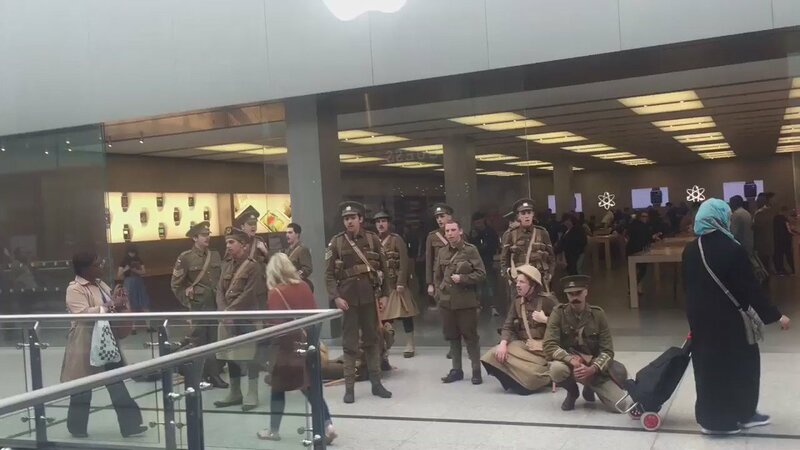 The project is named #wearehere, which refers to the renditions of ‘We’re Here Because We’re Here’, sung in the Allied trenches to the tune of Auld Lang Syne. The ‘ghosts’ silently handed out cards to passers-by - each carrying the name of a soldier who died 100 years ago. On the anniversary of the first day of the First World War’s bloodiest battle, it brought home the thousands of lives cut short. 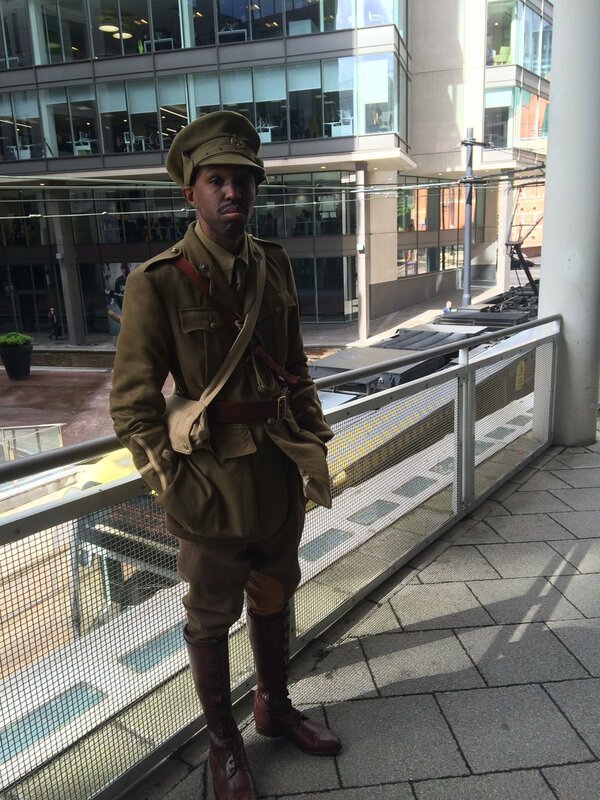 Moved by their encounters, many took to social media in response, using the #wearehere hashtag. Thousands of soldiers left behind their lives and families to fight in the 141-day war, which began on July 1 1916. The youngest who died was 15, the oldest 68. The street art project performed in tribute is shrouded in mystery. The soldiers have served as a poignant reminder of the young lives that were lost during the bloodiest battle of the First World War. 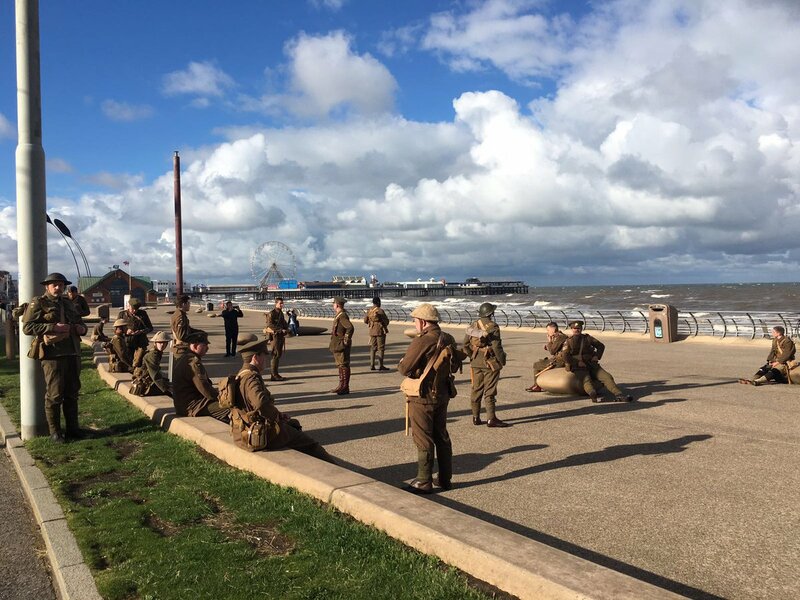 And they are expected to be seen by tens of thousands of people today as they flock into Manchester to mark the centenary of the Battle of the Somme. A parade featuring military personnel and descendants of those who fought at the Somme will leave Albert Square at 2pm, continuing along John Dalton Street and Deansgate to finish at Manchester Cathedral, where a service of remembrance will be held at 3pm. The entire route of the parade has a capacity of 40,000. The average age of a British soldier on the Somme was 26 years and two months. The youngest known soldier to fight in the battle is believed to have been Sidney Lewis, who was only 13. French casualties in the battle were around 200,000. German casualties numbered around 500,000.